Thank you for including my recipe as well. I am flattered! Thank you so much for sharing my recipe in your cookbook. 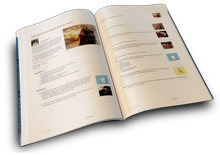 Thanks for adding my recipe to your cookbook!